Learn to access your deep core muscles at Body Connection, a Pilates studio in Candler Park, Atlanta, where you’ll get a fitness regimen tailored to your specific needs and undivided attention from one of our talented instructors - for a full hour. Pilates is recognized by doctors, chiropractors and physical therapists as one of the best conditioning fitness regimens for repairing back pain due to herniated or bulging discs, poor posture habits, sciatica, spinal stenosis and inflexibility. Pilates exercises target your deep core muscles, so that you learn to recognize where all movement originates from. 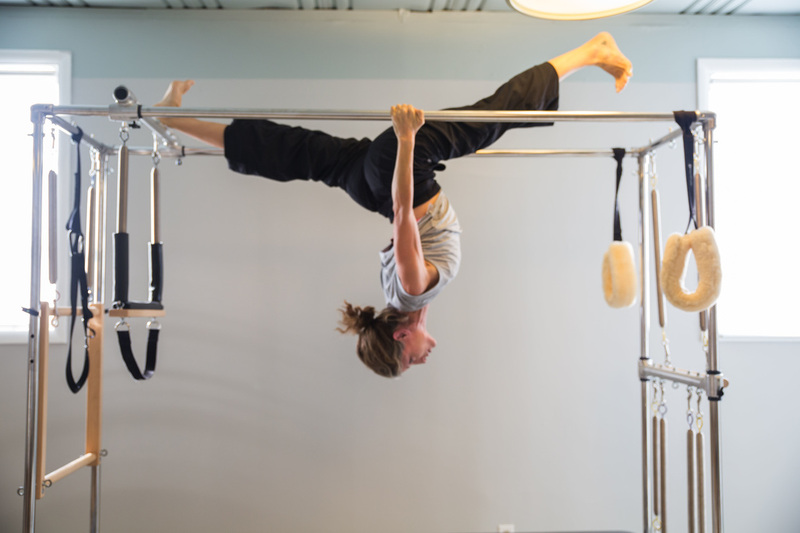 Our experienced teachers offer private and duet sessions on the Pilates apparatus. Private and duet sessions are scheduled by appointment only. Schedule your first private for $50! If your goal is to strengthen, tone, and slim your physique, Pilates may be the method for you. You will increase flexibility, decompress your spine and improve joint mobility. Your prenatal or postnatal body can also benefit greatly from Pilates conditioning. Schedule your first private for $50! At Body Connection, we believe practicing Pilates and GYROTONIC® can connect you to vitality, increased energy, and renewed vigor in your life. We teach movement. We restore body and mind, and want to help you to learn and understand how your body optimally moves. Rachel has trained me in Pilates before, during and after my first pregnancy and childbirth. The two years I did Pilates under her guidance resulted in a smooth and pain-free pregnancy and to a postpartum body and posture better than before! I have moved away from Atlanta and I have yet to come across a trainer with such an amazing attitude and dedication towards her students. —Sofia G.